John Cawley is a Professor in the Department of Policy Analysis and Management, and the Department of Economics, at Cornell University. 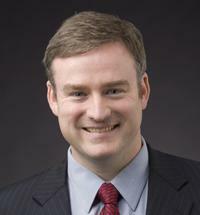 He is co-Director of Cornell's Institute on Health Economics, Health Behaviors and Disparities. His research focuses on the economics of risky health behaviors; in particular, those that relate to obesity. In addition to his affiliation with Cornell, John is the Erasmus Initiative Visiting Professor of Health Economics at the Erasmus School of Economics in the Netherlands and an Honorary Professor of Economics at the National University of Ireland, Galway. He is also a Research Associate of the National Bureau of Economic Research (NBER), a Research Fellow at the Tinbergen Institute in the Netherlands, and a Research Fellow of the Institute for the Study of Labor (IZA) in Germany. He was a member of the Institute of Medicine Committee "Prevention of Obesity in Children and Youth" and has served on advisory boards and expert panels for the Centers for Disease Control and Prevention and other government agencies. John serves as an Editor of the Journal of Health Economics. For his research, John has received the Investigator Award in Health Policy Research from the Robert Wood Johnson Foundation, the State University of New York (SUNY) Chancellor's Award for Excellence in Scholarship, the John D. Thompson Prize for Young Investigators from the Association of University Programs in Health Administration, and the Charles C. Shepard Science Award in Prevention and Control from the Centers for Disease Control and Prevention. During 2016 John served as a Fulbright Specialist in Economics to Ireland. John is also a two-time recipient of the Kappa Omicron Nu / Human Ecology Alumni Association Award for Excellence in Advising of students. John's research focuses on the economics of risky health behaviors; in particular, those that relate to obesity. He studies the economic causes of obesity, the economic consequences of obesity, and economic approaches to obesity treatment and prevention. Examples of research projects include: the effect of income on weight; the impact of obesity on labor market outcomes such as wages; the effect of physical education on youths; and the effectiveness of financial rewards for weight loss. His research has been published in general-interest economics journals (American Economic Review, Review of Economics and Statistics, Journal of Economic Perspectives) as well as journals in health economics (e.g. Journal of Health Economics, Health Economics, American Journal of Health Economics), public policy (Journal of Policy Analysis and Management, Health Affairs), and medicine and public health (e.g. JAMA, Lancet, American Journal of Public Health). His research has been supported by grants from the following sources: the National Institutes of Health; the Robert Wood Johnson Foundation; the Economic Research Initiative on the Uninsured; the IBM Center for the Business of Government; the Merck Foundation Center on Consumers, Pharmaceutical Policy, and Health; the University of Michigan Retirement Research Consortium; the U. S. Department of Agriculture; the Institute for the Social Sciences and the Bronfenbrenner Life Course Center at Cornell University; and J. P. Morgan Private Bank Global Philanthropic Services. John's research has been widely covered in the media, including stories in the Wall Street Journal, Financial Times, New York Times, The Economist, Business Week, Forbes, Scientific American, and The Chronicle of Higher Education. Cawley, John, Euna Han, Jiyoon Kim, and Edward C. Norton. Forthcoming 2019. “Testing for Family Influences on Obesity: The Role of Genetic Nurture.” Health Economics. Böckerman, Petri, John Cawley, Jutta Viinikainen, Terho Lehtimäki, Suvi Rovio, Ilkka Seppälä, Jaakko Pehkonen, and Olli Raitakari. 2019. “The Effect of Weight on Labor Market Outcomes: an Application of Genetic Instrumental Variables.” Health Economics, 28(1): 65-77. Choi, Anna, and John Cawley. 2018. "Health Disparities Across Education: the Role of Differential Reporting Error." Health Economics, 27(3): e1-e29. Soni, Aparna, Kosali Simon, John Cawley, and Lindsay Sabik. 2018. “The Medicaid Expansions of 2014 Increased Early Stage Cancer Diagnoses.” American Journal of Public Health, 108(2):216-218. Cawley, John, Barton Willage, and David Frisvold. 2018. “Pass-Through of a Tax on Sugar-Sweetened Beverages at the Philadelphia International Airport.” JAMA, 319(3):305-306. Simon, Kosali, Aparna Soni, and John Cawley. 2017. "The Impact of Health Insurance on Preventive Care and Health Behaviors: Evidence from the 2014 ACA Medicaid Expansions." Journal of Policy Analysis and Management, 36(2): 390-417. Cawley, John, and David Frisvold. 2017. "The Incidence of Taxes on Sugar-Sweetened Beverages: the Case of Berkeley, California." Journal of Policy Analysis and Management, 36(2): 303-326. Cawley, John, Davide Dragone, and Stephanie von Hinke Kessler Scholder. 2016. “The Demand for Cigarettes as Derived from the Demand for Weight Control.” Health Economics, 25(1): 8-23. Cawley, John. 2015. "An Economy of Scales: A Selective Review of Obesity's Economic Causes, Consequences, and Solutions." Journal of Health Economics, 43:244-268. Cawley, John, Michael Morrisey and Kosali Simon. 2015. "The Earnings and Consulting Income of U.S. Health Economists." American Journal of Health Economics, 1(2): 255-274. Cawley, John, Asako S. Moriya, and Kosali Simon. 2015. "The Impact of the Macroeconomy on Health Insurance Coverage: Evidence from the Great Recession." Health Economics, 24(2): 206-223. Huang, Terry T-K, John Cawley, Marice Ashe, et al. 2015. “Mobilising Policy Action for Obesity Prevention.” Lancet, 385(9985): 2422-2431. Cawley, John. 2014. "The Affordable Care Act Permits Greater Financial Rewards for Weight Loss: A Good Idea in Principle But Many Practical Concerns Remain." Journal of Policy Analysis and Management, 33(3): 810-820. Cawley, John, and Joshua A. Price. 2013. “A Case Study of a Workplace Wellness Program That Offers Financial Incentives for Weight Loss.” Journal of Health Economics, 32(5): 794-803. Cawley, John, David Frisvold, and Chad Meyerhoefer. 2013. “The Impact of Physical Education on Obesity among Elementary School Children.” Journal of Health Economics, 32(4): 743-755. Cawley, John, and Johanna Catherine Maclean. 2012. “Unfit for Service: The Implications of Rising Obesity for U.S. Military Recruitment.” Health Economics, 21(11): 1348-1366. Cawley, John and Chad Meyerhoefer. 2012. "The Medical Care Costs of Obesity: An Instrumental Variables Approach." Journal of Health Economics, 31(1): 219-230. Cawley, John, and Christopher J. Ruhm. 2012. “The Economics of Risky Health Behaviors.” Chapter 3 in: Thomas G. McGuire, Mark V. Pauly, and Pedro Pita Barros (editors), Handbook of Health Economics, Volume 2. (Elsevier: New York). pp. 95-199. Cawley, John, Euna Han, and Edward C. Norton. 2011. "The Validity of Genes Related to Neurotransmitters as Instrumental Variables." Health Economics, 20(8): 884-888. Cawley, John (editor). 2011. The Oxford Handbook of the Social Science of Obesity, (Oxford University Press: New York, NY). Cawley, John, John Moran, and Kosali Simon. 2010. "The Impact of Income on the Weight of Elderly Americans." Health Economics, 19(8): 979-993. Coles, Peter, John Cawley, Phillip B. Levine, Muriel Niederle, Alvin E. Roth, and John J. Siegfried. 2010. "The Job Market for New Economists: A Market Design Perspective." Journal of Economic Perspectives, 24(4): 187-206. Burkhauser, Richard V., and John Cawley. 2008. "Beyond BMI: The Value of More Accurate Measures of Fatness and Obesity in Social Science Research." Journal of Health Economics, 27(2): 519-529. Morrisey, Michael A., and John Cawley. 2008. "U.S. Health Economists: Who We Are and What We Do." Health Economics, 17(4): 535-543. Cawley, John, Chad Meyerhoefer, and David Newhouse. 2007. "The Impact of State Physical Education Requirements on Youth Physical Activity and Overweight." Health Economics, 16(12): 1287-1301. Cawley, John, and Michael A. Morrisey. 2007. "The Earnings of U.S. Health Economists." Journal of Health Economics, 26(2): 358-372. Cawley, John, David Grabowski, and Richard Hirth. 2006. "Factor Substitution in Nursing Homes." Journal of Health Economics, 25(2): 234-247. Cawley, John, Michael Chernew, and Catherine McLaughlin. 2005. "HMO Participation in Medicare Managed Care." Journal of Economics and Management Strategy, 14(3): 543-574. Cawley, John, and Sheldon Danziger. 2005. "Morbid Obesity and the Transition From Welfare to Work." Journal of Policy Analysis and Management, 24(4): 727-743. Cawley, John, and Kosali I. Simon. 2005. "Health Insurance Coverage and the Macroeconomy." Journal of Health Economics, 24(2): 299-315. Cawley, John. 2004. "The Impact of Obesity on Wages." Journal of Human Resources, 39(2): 451-474. Cawley, John, Sara Markowitz, and John Tauras. 2004. "Lighting Up and Slimming Down: The Effects of Body Weight and Cigarette Prices on Adolescent Smoking Initiation." Journal of Health Economics, 23(2): 293-311.